If you like the 5 megapixel Sony Ericsson K850, wait till you see the 8 Megapixel Sony Ericsson C905. Sony Ericsson has announced a new 8.1-megapixel camera phone as it takes the fight to the digital camera market head on. 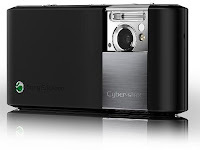 The C905 is Sony Ericsson’s first Cyber-shot slider and its most advanced camera phone yet. With an 8.1 megapixel camera and real camera flash amongst its cutting-edge capabilities, it offers easy photo-taking in a phone that derives its looks from a digital camera and offers the picture quality to match. IThe C905 is a powerful 8.1 megapixel camera phone that looks, feels and acts like a real camera. * Much more than a camera phone – GPS-enabled for geo-tagging of photos and navigation support. Isn’t it worth waiting for?